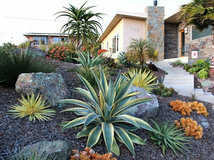 The simple design move of lowering a section of a landscape can increase its drama. 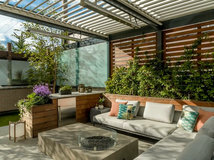 Sunken seating areas make a small or flat yard feel more dynamic, provide privacy within a larger landscape, and change one’s perspective of planting beds and other garden elements. 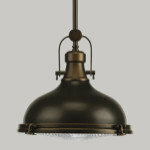 Plus, they offer an opportunity for creating a snug, wraparound seating nook around a fire pit or an outdoor table. 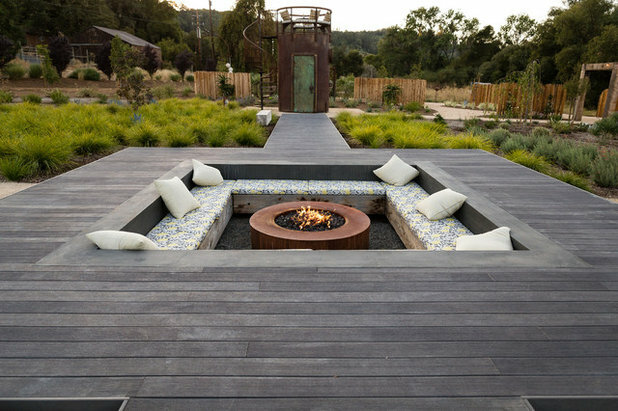 Read on to see 10 inspiring examples of sunken seating areas in yards and to get advice from a landscape designer on what you need to know if you are thinking about adding one. Hint: Drainage is key. 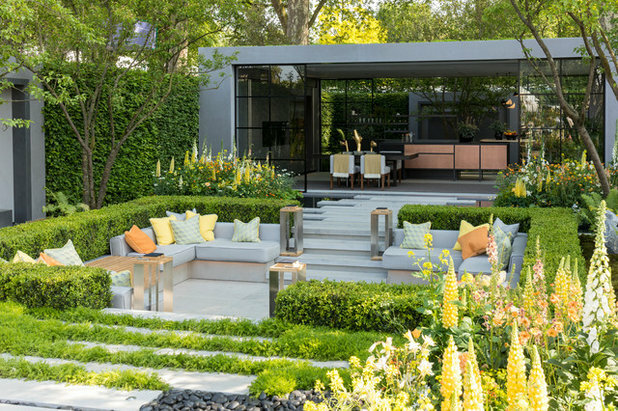 Capitalizing on the ability of a sunken seating area to boost the drama of a small space, landscape designer Hay-Joung Hwang centered her design for the 2018 Chelsea Flower Show in England around this lowered seating area. 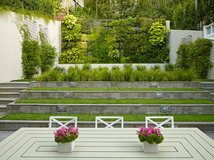 The simplified, contemporary design of the seating area and garden room balance the romantic flower beds, which overflow with blooms that one would look up to from the lowered seating area. Dropping the seating area of this deck in Florida keeps those jaw-dropping views of the ocean completely clear and uncluttered by furniture. 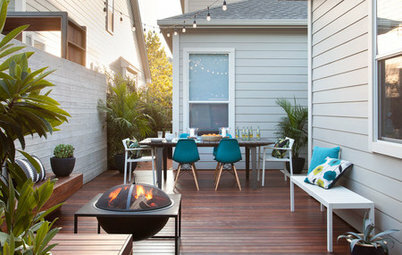 Careful choices on how to cut the deck boards for the sunken seating area resulted in a minimalist design for a diving-board-shaped outdoor table. We imagine that it’s just about the perfect size for a few tropical drinks and a tray of appetizers. 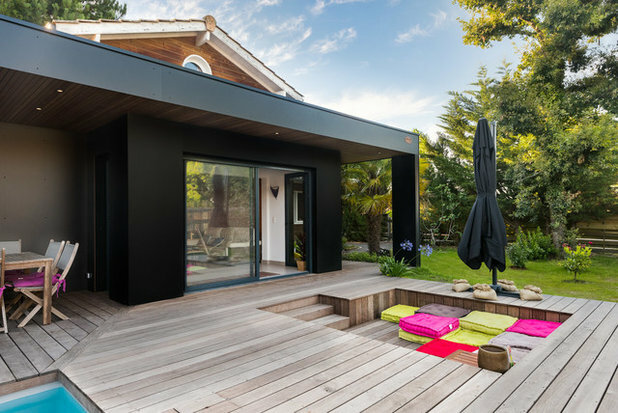 Within a larger deck, a sunken lounge filled with brightly colored floor cushions provides a destination in this backyard in Bordeaux. 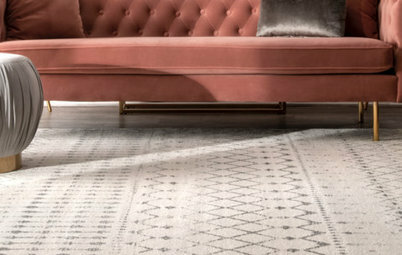 The dropped area feels more intimate than a traditional set of chairs around a table. 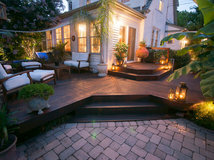 The deck is raised about 6 inches above ground level, which provided an elevated starting point for digging down to create the sunken seating area. 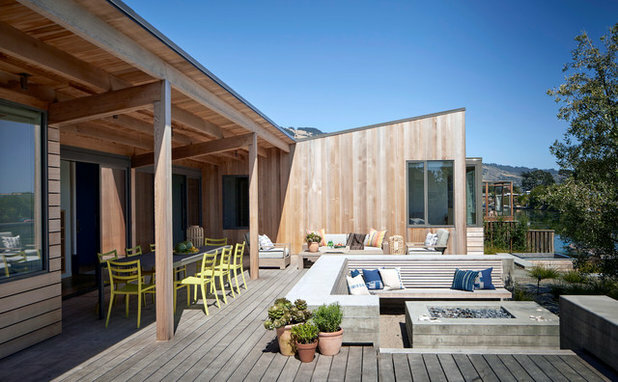 This home in Stinson Beach feels in line with its natural setting on a coastal inlet thanks, in part, to the smart position of a sunken patio. The design by architecture firm Turnbull Griffin Haesloop provides an easy transition from home to deck to yard, bridging the grade change between the areas. 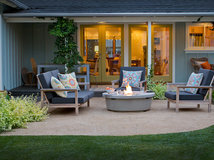 The fire pit patio sits three steps down from the height of the deck, which reinforces the feeling of the seating area as an inviting, lowered nook (that didn’t require soil excavation). 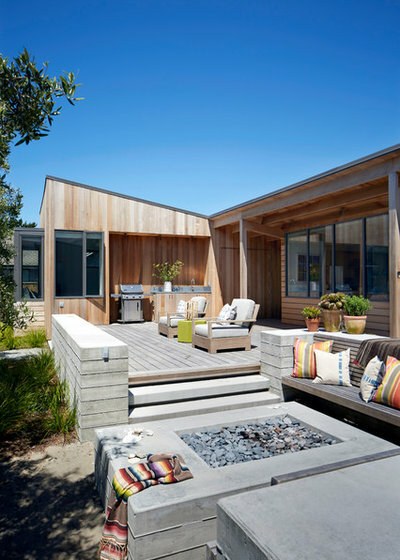 Even the change in flooring material — from deck boards to beach sand in the sunken seating area — signals that one is moving away from the home and closer to the water’s edge. The side-by-side positioning of a hot tub and a sunken lounge, designed by Luxapatio, creates visual balance in a waterfront backyard in Miramar, north of Miami. 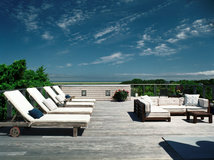 Steps (out of view) allow for easy access down to the sunken seating area, where one can enjoy views of the water. 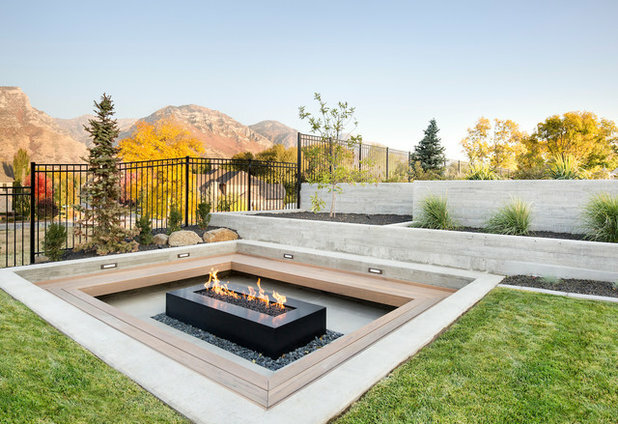 For this Utah backyard, a lowered seating area around a fire feature creates an evening gathering spot with views of the mountains. 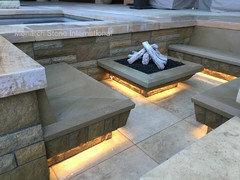 Inset lighting will help illuminate the area, and outdoor pillows could be brought out, as needed, to cushion the low backrest. 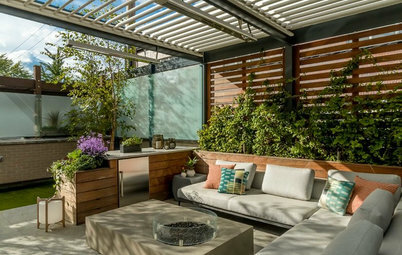 A level change for the seating area of this interior courtyard by Peters Architecture helps set it apart as a defined outdoor living room. The design features generous built-in, wraparound seating, a fresh white-and-gray color palette and a fire feature to set the mood in the evening. Rooms of the home open directly on the courtyard space, fostering an easy indoor-outdoor flow. 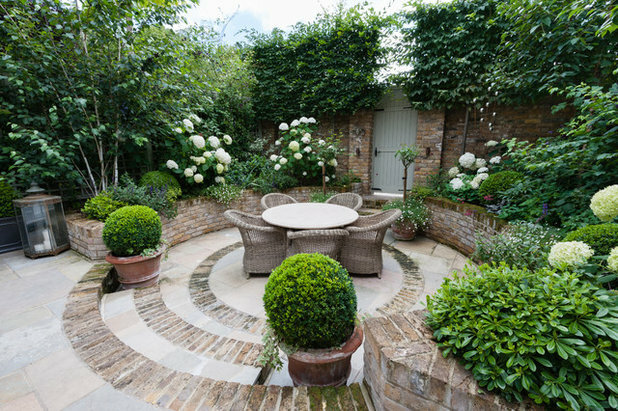 This courtyard in England, designed by Karen Rogers at KR Garden Design, has been a perennial favorite among Houzz readers. The sunken level, inviting curves and blooming border plantings make all the difference in turning a small city courtyard into what feels like an inviting secret garden. 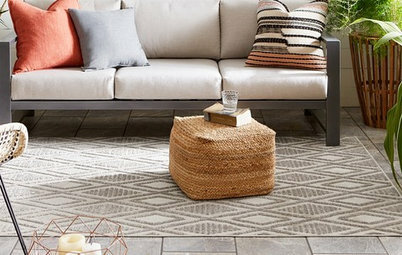 A geometric floor pattern plays up the drama in this sunken seating area designed by Becker Studios in Santa Barbara. 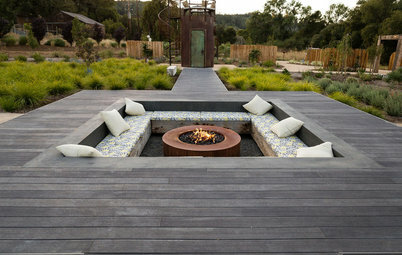 Deep seats in the U-shaped built-in encourage lounging around the gas-powered fire pit. Leaving one side of the sunken area open, accessible by wide steps, allows for easier access than sunken areas that require one to step down onto a built-in bench seat or down a set of stairs. 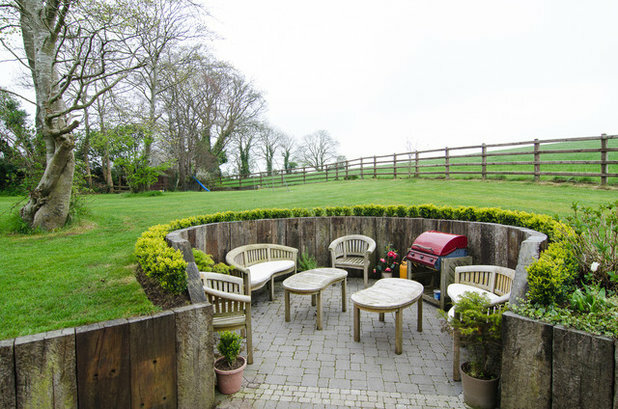 Once again, curves create an inviting seating nook — this time for a sunken courtyard in Belfast. The seating’s lowered level keeps views of the lawn and open countryside clear, while the curved wall wraps around the outdoor living room like a warm embrace. 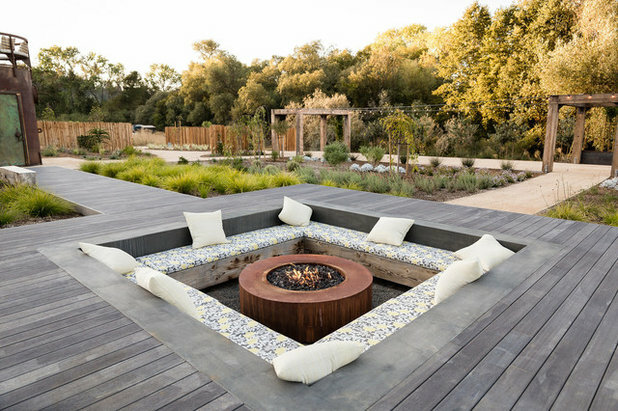 A sunken seating area within a boardwalk is the center of a backyard designed by Jake Moss in Healdsburg, California. 1. 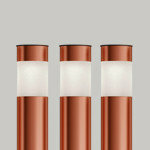 Drainage. To prevent a sunken seating area from turning into a puddle anytime it rains, make sure your design includes a strategy for drainage. 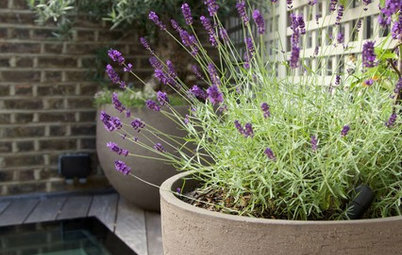 “Drainage is paramount if you’re going to build a sunken area,” says landscape designer Jake Moss. 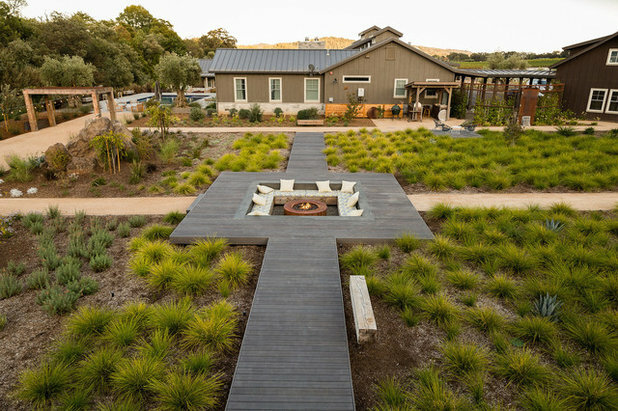 For this sunken area in Healdsburg, California, Moss and his team installed an 8-inch drainpipe below the gravel floor with several catchment basins to receive water. The site had a natural slope to direct drainpipe runoff. Otherwise, Moss says that he would have needed to install a sump pump. Next, they covered the floor with a high-quality weed barrier (to keep the soil and the gravel from mixing), topped it with a thick layer of drain rock and then a few inches of pea gravel. 2. Walls. 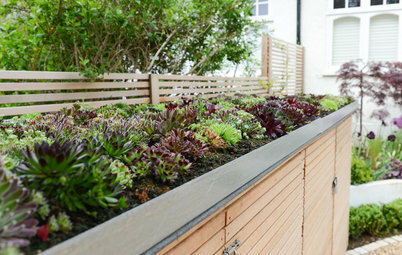 The sides of sunken seating areas act as mini retaining walls to hold back the surrounding soil, so it’s best to work with a skilled landscape contractor to make sure that the walls are properly installed. Here, Moss used concrete masonry units (CMU), reinforced with rebar inside the blocks, anchored into a concrete foundation to make four very sturdy retaining walls. He also sealed the outside of the walls with a waterproofing agent to prevent moisture from leaking through them, which could cause cracking down the line. 3. Seating. Digging down creates the opportunity for adding built-in seating. 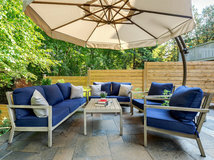 If this is a priority, design your sunken patio to accommodate comfortable seat heights and depths and angles for backrests. 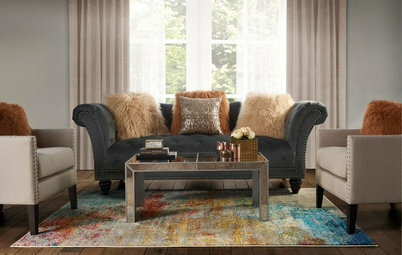 Benches should be about 18 inches off the ground; seats should be at least 20 inches deep or closer to 24 to 26 inches to leave room for back cushions. 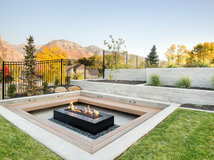 For this sunken fire pit area, Moss created the seats from 12-by-12-inch reclaimed crane mats (used to stabilize cranes during construction). The seats are 24 inches deep, which, Moss points out, makes them wide enough to be comfortable to lie down on as well as sit on. The seats are 18 inches off the ground. 4. Accessibility. 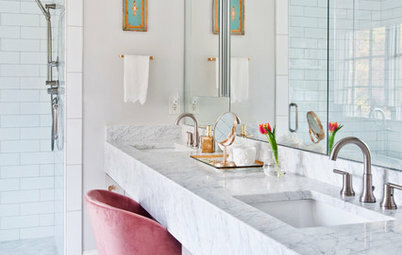 Depending on the design, some sunken seating areas require one to step down onto a bench seat, while others have a set of stairs with a handrail leading down to a sunken area. Both can be challenging to maneuver for people with mobility restrictions. The most all-access-friendly designs leave one side of a sunken area more open and could accommodate a wheelchair ramp, if necessary. Mobility issues were not a concern in this project. If they had been, Moss says he would have modified the design with handrails anchored into the CMU wall, oriented so that the opening was in line with the boardwalk. If mobility is an issue, bring this up with your landscape professional so that he or she can design for optimal access. I thought it had said drunken seating areas! Aw, I guess I have nothing to say now. 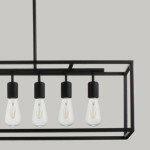 Here is a beautiful design idea; images from a project in Newport Beach, CA. 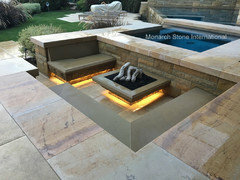 Our company supplied the natural stone materials and assisted with installation and design, using two gorgeous natural stones; French limestone and Santa Barbara Sandstone. 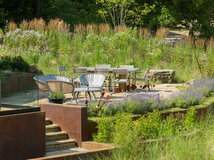 Lovely examples of sunken outdoor living. 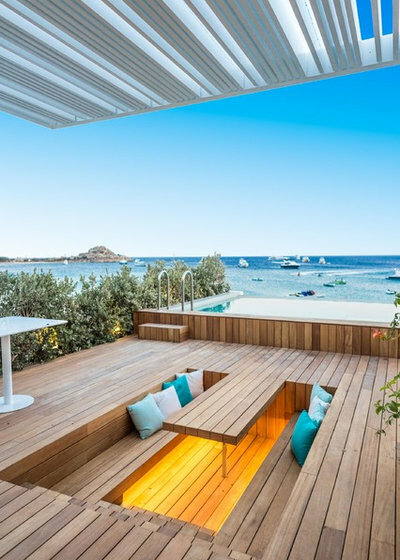 There should always be at least one safe way to get "in and out" of those clean sunken seating areas. 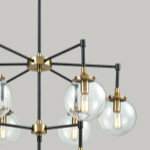 This can be tastefully designed in. You don't have to be old to need that. As an active tennis player I recently had knee surgery and understand that having access is critical.